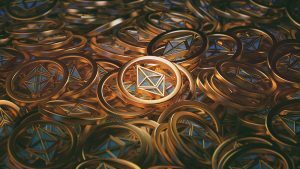 WOULD COINBASE RESPOND TO A NEW YORK STATE COURT SUBPOENA IN A MATRIMONIAL CASE? Michael Stern, Esq., a New York matrimonial and family law attorney and mediator with 32 years of experience is pondering the question of whether COINBASE would respond to a New York State Court subpoena in a matrimonial action for information regarding Crypo-Currency trading by a divorce litigant. In a recent case determined by a California Federal Court in the matter of US v Coinbase, the IRS sought information concerning the identity of Coinbase users, who numbered approximately six million at the time. COINBASE is in the business of facilitating crypto-currency transactions between merchants and consumers. These Crypto-Currencies include Bitcoin, Litecoin and Ethereum. Coinbase sought to quash the government’s information request. The Federal Court sided with the government, but limited the scope of production to those users who sent, received, bought or sold $20,000.00 or more of crypto-currencies in a single year between 2013 and 2015. The users who fell within the purview of the order numbered only 14,355. Parenthetically, Coinbase now states it has 50 million users on its web page, so many more have jumped on the Bitcoin bandwagon since the case was decided. In my view, the government only got a small fraction of the information that was sought. So, with the precipitous rise in Bitcoin valuation, what is a divorce litigant to do when he or she suspects that the other spouse is amassing and secreting Bitcoin in a matrimonial matter? Would Coinbase, a company whose mailing address is in California, even bother responding to a New York State Court subpoena for information, where it has shown it will vigorously protect the privacy of its users? To my knowledge, there is no answer yet to this question. As the penalties for non-compliance with a New York judicial subpoena are beyond the scope of this blog, suffice it to say, that the power of the New York Court to punish an out-of- state corporation is extremely limited. I have pondered a multifaceted strategy to acquire information from platforms such as Coinbase. If you believe your spouse has acquired Crypto-Currency, you need to hire seasoned and experienced matrimonial attorney to try to uncover hidden Crypto-Currencies. Feel free to contact me, H. Michael Stern, Esq.,a Long Island divorce and family law attorney, if you are interested in a Free Consultation to discuss your matrimonial, divorce or family law matter at 516-747-2290. 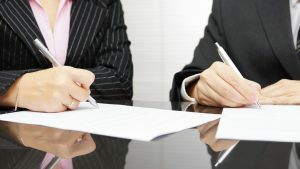 H. Michael Stern, Esq., a New York matrimonial and family law attorney and mediator with over 31 years of experience suggests that New York residents who want to enter into a post nuptial agreement must take into account whether the agreement is fair to each party on the face of the agreement. In a recent case determined by the Appellate Division, 2nd Judicial Department in New York, the Appellate Court determined that a hearing was required to determine whether a postnuptial agreement would be invalidated where the wife received no benefit from the agreement and gave up her rights to: all assets of the marriage; her inheritance rights: and, the right to support from her husband. I am frequently asked how much a postnuptial agreement will cost. Oftentimes, there is incredulity expressed by the inquiring party when I advise that the other spouse must be represented and the negotiations must be undertaken in a way that ensures fairness in the outcome. The process of formalizing a postnuptial agreement should be viewed from a lens that would hold the agreement up to judicial scrutiny if challenged. I try my best to insure that any postnuptial agreement that I am involved in as the draftsman or reviewer upholds the standards required to survive judicial scrutiny. No separation, prenuptial or postnuptial agreement that I have ever drafted has been set aside by a Court. Focusing on the needs of the client and the results sought have always been a hallmark of my Nassau County, Long Island practice over the past 31 years. Feel free to contact me, H. Michael Stern, Esq., divorce and family law attorney, if you are interested in discussing your matrimonial, divorce or family law matter at 516-747-2290. My office is conveniently located adjacent to the Roosevelt Field Mall ring road at 666 Old Country Road in Garden City, New York 11530. H. Michael Stern, Esq., a New York matrimonial and family law attorney and mediator with over 31 years of experience suggests that New York custodial litigants observe and monitor the speech of their parents to ensure that the children at issue are not exposed to disparaging comments and remarks from their grandparents about the other litigant/parent. In a recent case decided on July 12, 2017, the Appellate Division, Second Judicial Department held that there was a sound and substantial basis for the trial court to direct that a child’s mother not permit the maternal grandmother to be alone with that child. These types of rulings are carefully crafted so as not to abridge the rights of free speech of the grandparent. After all, can’t the grandparent speak her mind about her son/daughter-in-law. A court can place the burden of insuring that the children are not exposed to disparaging or venomous remarks about the other parent. The Court has the power to impose restrictions on children’s interactions with third parties during visitation if it is in the children’s best interests to do so. 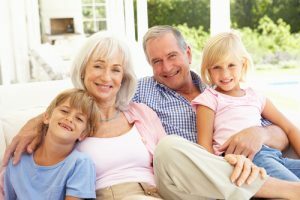 Determining whether a third party, including paramours, hostile grandparents, or relatives should have access and exposure to children has been an issue that arises from time to time in child custody practice. I have initiated legal proceedings to block access by potentially toxic individuals to children in custody litigation. Children can come to harm in many ways and it is incumbent on parents to ensure their safety. Focusing on the needs of the client and the results sought have always been a hallmark of my Long Island practice over the past 31 years. Feel free to contact me, H. Michael Stern, Esq., a Long Island divorce and family law attorney, if you are interested in discussing your matrimonial, divorce or family law matter at hmsternesq@gmail.com or by phone at 516-747-2290. H. Michael Stern, Esq., a New York matrimonial and family law attorney and mediator with over 30 years of experience suggests that New York residents, where appropriate, one should strongly consider digging deeper, beyond the four corners of the Statement of Net Worth, for digital assets. 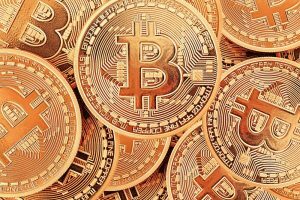 In Part One of this blog, I addressed Bitcoins as an example of digital asset in divorce cases. I also noted that the official form of the Statement of Net Worth was updated in 2016. Each party in a contested matrimonial action is required to serve and file a Statement of Net Worth with the Court. It is mandatory financial disclosure in all contested cases. In many cases that are settled out of court, attorneys use the Statement of Net Worth as a representation under oath of the net worth of each party to the settlement. There is one class of assets that is omitted from the latest version of the official form. This may result in such assets being overlooked at trial or in a settlement. That class of assets are digital assets, assets which are intangible and exist only in electronic media. As there is no standardized definition yet of digital assets that is all inclusive (to my knowledge), I shall continue to address some (but not all) digital assets in this second blog which should be considered by divorcing parties and their attorneys. The second example of digital assets are photographs. They can be family photos and videos stored electronically or valuable digital photographs. Family photos may be priceless to divorcing parties. 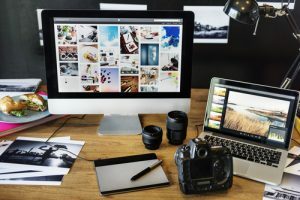 The custodian of the digital photos may not possess them in traditional terms, such as on a personal computer, phone, or media storage device. Ever hear of the “cloud”? Well, there are too many cloud storage sites for me to mention in this blog, but I am sure you get the idea. Access to cloud storage and photos stored on social media (including facebook and instagram) are no longer possessed in traditional terms by a party. So, obtaining access to these photos should be addressed where the issue is an important one to the parties in a divorce. If a party to a divorce is a photographer by trade or hobby, there may be photos of real value (that if taken during the marriage) that should be treated as assets of the marriage. Another, more sordid issue comes to mind. I had a case years ago which involved pornographic video content that the parties generated during the marriage. 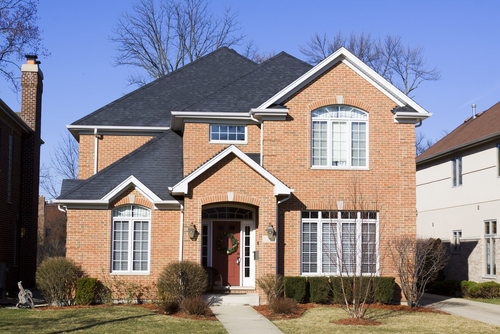 Parties may be reluctant to mention this to their attorneys, but it is important to gather the courage and discuss it, because it can be addressed by the Court in the disposition of marital property. That is exactly what happened in that case. The third example is what I call “creative digital content”. Among other things, this can consist of digital manuscripts, books, artwork and videos (for example a Youtube sensation makes money every time someone clicks on a video as pay per click advertisements precede the content). The fourth example are online (merchant) hobbyists who are Ebay, Amazon or Craigslist (to name a few) sellers who are not operating businesses per se, but are selling and making money online. This is in contrast to a true online business which should be disclosed on the Statement of Net Worth. These are just a few examples and I could go on and on. I did not address the deliberate concealment of funds or other assets in digital repositories. That subject is beyond the scope of this blog. The point is that these and other digital assets are not accounted for on the Official Form so it is important to be vigilant. I have engaged in continuing education in this area. Focusing on the needs of the client and the results sought have always been a hallmark of my Long Island practice for more than 30 years. Feel free to contact me, H. Michael Stern, Esq.,a Long Island divorce and family law attorney, if you are interested in discussing your matrimonial, divorce or family law matter at hmsternesq@gmail.com or by phone at 516 747 2290. My office is conveniently located in Nassau County adjacent to the Roosevelt Field Mall ring road at 666 Old Country Road in Garden City, New York. The official form of the Statement of Net Worth was updated in 2016. Each party in a contested matrimonial action is required to serve and file a Statement of Net Worth with the Court. It is mandatory financial disclosure in all contested cases. 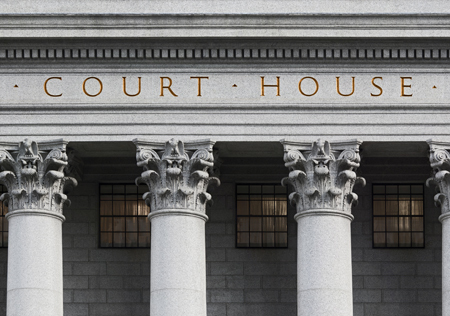 In many cases that are settled out of court, attorneys use the Statement of Net Worth as a representation under oath of the net worth of each party to the settlement. There is one class of assets that is omitted from the latest version of the official form. This may result in such assets being overlooked at trial or in a settlement. That class of assets are digital assets, assets which are intangible and exist only in electronic media. As there is no standardized definition yet of digital assets that is all inclusive (to my knowledge), I shall address some (but not all) digital assets in this blog which should be considered by divorcing parties and their attorneys. The first example is the Bitcoin. I am not a mathematician, but here is a simple definition and it is unofficial. It is highly encrypted digital currency that is exchanged without any financial institution acting as an intermediary. If you believe this definition to be to simplistic, there are many online resources which define and explain Bitcoins and how they work. The Statement of Net Worth deals with “Cash” and “Checking” and “Savings” accounts. The Bitcoin does not fit into any one of these categories. Omission of assets on a Statement of Net Worth can result in substantial penalties in New York matrimonial actions. Yet, some assets elude detection. 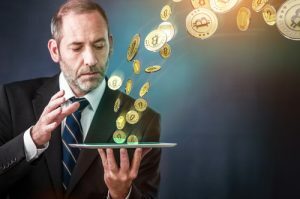 Many highly trained forensic accountants and forensic data investigators would be hard pressed to track down Bitcoins, unless there is a financial trail leading into the Bitcoin purchase on the purchaser’s computer, tablet or mobile phone. Preservation and access to the unaltered computers and internet devices of the offending party become a necessity if Bitcoin purchases are suspected. The ways to elude detection go far beyond the scope of this blog. As I will NEVER assist any prospective client in perpetrating a fraud on the Court or the other party, it does not pay to ask me how this is done! Much has been written on data and computer preservation in divorce cases, but that is not the purpose of this blog. The purpose of this blog is to discuss the potential concealment of the Bitcoin in divorce cases. If you are a middle to high net worth party in a divorce case, your attorney must be familiar with these concepts. I have undertaken continuing education in this area. Focusing on the needs of the client and the results sought have always been a hallmark of my Long Island practice for more than 30 years. Feel free to contact me, H. Michael Stern, Esq.,a Long Island divorce and family law attorney, if you are interested in discussing your matrimonial, divorce or family law matter at hmsternesq@gmail.com or by phone at 516-747-2290. My office is conveniently located in Nassau County adjacent to the Roosevelt Field Mall ring road at 666 Old Country Road in Garden City, Long Island, NY. H. Michael Stern, Esq., a Long Island, New York divorce, matrimonial and family law attorney and mediator with over 30 years of experience suggests that New York residents use caution in entering into stipulations in court regarding vehicle use, and final ownership before trial. In a 2016 case determined by the Appellate Division, 2nd Department in New York, the Appellate Court determined that where the parties stipulated that each would retain his or her vehicle, there would be no payment for 50% of the value from one party to the other. Thus, before any agreement is made in court, it is important to know whether there is a meaningful differential in unencumbered equity between the husband’s vehicle and the wife’s vehicle. If so, then a decision should be made whether to agree only to use of each vehicle pending trial as opposed to determining title to the parties respective vehicles. Oftentimes, parties are asked to decide this issue reflexively early in the case (such as at the preliminary conference) and no choice (use or title) is offered. If the vehicles have sharply different values, then one should consider deciding only on use before trial as opposed to securing title. An agreement settling the case will also resolve the vehicle use or title issue; a trial may not be required. 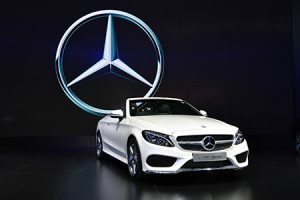 Allow me to offer an example, the husband owns a 1998 Porsche 911 and the wife just bought a brand new 2017 Mercedes C Class which is titled in her name. Both vehicles are paid off with no liens. Should the wife agree that each party retains title to his or her own vehicle? The answer is not so simple, as it all depends on the mileage and condition of the 1998 Porsche. The older car may be an appreciating asset worth considerably more than its original price. The newer car is depreciating in value. Accordingly, a pre trial appraisal of the older car would answer the valuation question. 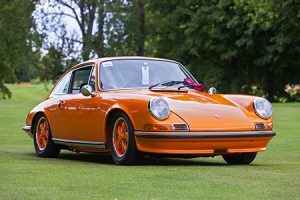 This could result in the wife being entitled to and receiving a payment for a portion of the Porsche’s value in addition to retaining her new car. Thus, whether one agrees to pre trial use of a vehicle, or to a final disposition regarding vehicle ownership, is an important distinction not to be taken lightly in the early stages of a New York divorce case. Focusing on the needs of the client and the results sought have always been a hallmark of my Nassau County, Long Island practice over the past 30 years. Feel free to contact me, H. Michael Stern, Esq., a Nassau County, Long Island divorce, child custody and family law attorney, if you are interested in discussing your matrimonial, divorce or family law matter at hmsternesq@gmail.com or by phone at 516 747 2290. Call 516-747-2290 to schedule a Free Initial Consultation. My office is conveniently located in Nassau County, adjacent to the Roosevelt Field Mall ring road at 666 Old Country Road in Garden City, Long Island, New York. H. Michael Stern, Esq., a New York matrimonial and family law attorney and mediator with over 30 years of experience suggests that New York residents who obtain foreign divorces may have unexpected consequences that affect the property of the marriage. In a recent case determined by the Appellate Division, 4th Department in New York, the Appellate Court determined that where a foreign divorce was obtained from a Court that lacked jurisdiction over the parties’ marital property, that the valuation dates for marital property must be between the date of commencement of post divorce case to divide marital property and the date of trial of that case. Allow me to put this into some perspective for the reader. Let’s say that the parties mutually consent to obtain a divorce in a country that has no residency requirement and provides a quick divorce, without jurisdiction over their property rights. Accordingly, the divorce is legal and enforceable as it was mutually consented to and not unilateral. Hypothetically, let us imagine that the wife owned stock valued at the time of the divorce at $10,000.00. Five years later, the husband brings on an action in New York to distribute the hypothetical stock. Under our imagined scenario, the stock is now worth $500,000.00 and remains at that value to trial (following multiple stock splits with no post divorce contribution by the wife to the value of the stock). Under this example, the value at the time of the divorce would not be considered under the recent decision of the Appellate Court. The trial court would be forced to use the $500,000.00 value for equitable distribution purposes. As the above hypothetical provided that the wife contributed nothing to the rise in price of the stock, one could only guess what the trial Court would do in apportioning the stock between the parties under these hypothetical circumstances. I am not rendering any opinion regarding the fairness of this approach, but it is the law. Focusing on the needs of the client and the results sought have always been a hallmark of my Long Island practice over the past 30 years. Feel free to contact me, H. Michael Stern, Esq.,a Long Island divorce and family law attorney, if you are interested in discussing your matrimonial, divorce or family law matter at hmsternesq@gmail.com or by phone at 516 747 2290. The initial consultation is free. My office is conveniently located adjacent to the Roosevelt Field Mall ring road at 666 Old Country Road in Garden City, Nassau County, New York. H. Michael Stern, Esq., a New York matrimonial and family law attorney and mediator with over 30 years of experience suggests that a litigant must be careful to select the right seasoned and experienced matrimonial lawyer to try his or her divorce case. In a recent case determined by the Appellate Division, 2nd Department in New York, the Appellate Court affirmed the trial judge’s determination that a litigant who wanted to change lawyers after the trial was underway was not entitled to an adjournment of 60 to 90 days to secure new counsel to conclude the trial. In that case, the litigant failed to meet his burden to demonstrate that the requested adjournment was necessitated by forces beyond the litigant’s control and was not a tactic for purposes of delay. The lesson to be learned from this case is that there is no guarantee that a Court will permit an adjournment for the substitution of counsel once a trial or hearing has commenced. Thus, in my opinion it is absolutely critical to hire a seasoned and experienced matrimonial trial counsel with a record of success in cases with similar facts and circumstances at the beginning of the case. I believe that clients should not be treated as guinea pigs. Absent a novel issue of law or fact, I believe that a lawyer should not be learning how to try the case on the fly at the client’s risk and expense. Feel free to contact me, H. Michael Stern, Esq.,a Long Island divorce and family law attorney, if you are interested in discussing your matrimonial, divorce or family law matter at hmsternesq@gmail.com or by phone at 516 747 2290. The initial consultation is free. My office is conveniently located adjacent to the Roosevelt Field Mall ring road at 666 Old Country Road, Suite 555 in Garden City, Nassau County, New York. H. Michael Stern, Esq., a New York matrimonial and family law attorney and mediator with over 30 years of experience suggests that a divorce litigant in New York must expect income to be imputed, where personal living expenses are being directly paid by that party’s business and that party also has financial control of the business. In a recent case determined by the Appellate Division, 2st Department in New York, the Appellate Court affirmed the trial judge’s determination which imputed income in the highest amount estimated by a neutral financial evaluator where the party had control over the books and finances of the business and funneled personal expenses through the business. I will provide a practical explanation of “imputation” of income. 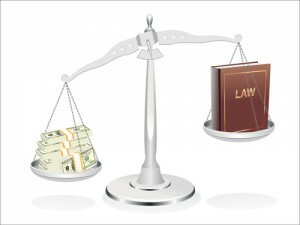 The Court has the power to fix the income of a party for all purposes in a divorce case or support case, regardless of the amount income stated in that party’s tax returns or other paperwork, if there are doubts as to the truthfulness of that party’s representations of his or her income. Where a party’s account of his or her income is not believable, the Court is justified in finding a true or potential income higher than that claimed (and use that amount for all purposes in the case). In that recent case, the neutral financial evaluator presented a range of the estimated income of the business owner. The high value was $80,000.00 greater than the low value. The trial judge determined the litigant’s income to be at the highest point in the range. The Appellate Court agreed with the trial Court. This illustrates that accuracy in the assessment of imputed income is not a necessity for the Court as the litigant’s true income was never actually determined. Thus, there are significant risks in litigating a divorce where personal expenses are paid through a business as there is a likelihood of imputation of income. There are other circumstances where income may be imputed, but this blog does not address those instances. During my 30 years in practice, I have prosecuted and defended many income imputation cases in Supreme Court and Family Court. It takes a skilled, experienced trial attorney to handle these cases. Accumulating the right evidence is critical for success in these cases. I believe that the best approach for the prospective litigant is to retain an experienced attorney who has successfully prosecuted or defended imputed income cases in the past. First and foremost, my priority is to prevail at trial when a settlement cannot be reached in the case. Focusing on the needs of the client and the results sought have always been a hallmark of my Long Island practice over the past 30 years. Feel free to contact me, H. Michael Stern, Esq., a Long Island divorce and family law attorney, if you are interested in discussing your matrimonial, divorce or family law matter at hmsternesq@gmail.com or by phone at 516 747 2290. H. Michael Stern, Esq., a New York matrimonial and family law lawyer and mediator with over 30 years of experience suggests that one must be careful not to conceal or hide property of any kind, including jewelry, collectibles, antiques or other movable valuables from the opposing party or the Court in a divorce case. 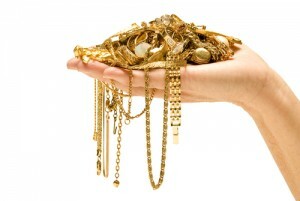 In a recent case determined by the Appellate Division, 1st Department in New York, the wife had been found to have engaged in what the Court found was egregious economic fault, for, among other things, allegedly secreting her valuable jewelry before trial. But, that is not the most fascinating aspect of the case. The Appellate Court approved of the lower court’s acceptance of a jewelry appraisal based on a hypothetical fair market valuation. It is not clear from the decision whether the lower court relied on insurance appraisals, purchase documents or photographs in the trial level determination. What is clear however, is that the appraisal was accepted without a visual inspection of the actual jewelry. Now, that is really a remarkable development! I had a case many years ago involving a divorcing couple from a south Asian country. In their country of origin, it was a tradition for the bride to adorn herself in copious amounts of 22 carat gold jewelry. The wedding photos showed the wife wearing many tens of thousands of dollars of stunning jewelry. The husband claimed the jewelry were wedding gifts and marital property. The wife claimed the jewelry was valueless costume jewelry for the most part and produced only a few pieces for appraisal. The jewelry shop in the village where the gold jewelry was acquired was half a world away. The prospect of being able to use a hypothetical fair market valuation in that old case would have been extremely beneficial. The law was different then and has evolved to address these kinds of situations. It is now easier for a Court to economically punish a divorcing spouse who decides to hide jewelry, collectibles, antiques or other movable valuables by granting a disproportionately lower equitable distribution award. The Court may also deny maintenance to the offending spouse. Focusing on the needs of the client, the complexity of the case and the results sought have always been a hallmark of my Long Island practice over the past 30 years. Feel free to contact me, H. Michael Stern, Esq., a Long Island divorce and family law attorney, if you are interested in discussing your matrimonial, divorce or family law matter at hmsternesq@gmail.com or by phone at 516-747-2290.